Comprehensive Web solutions provided by Day3 Productions, Inc. 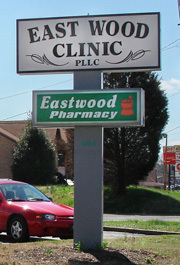 Located on East Wood Street in Paris, Tennessee (Home of the World�s Biggest Fish Fry) our pharmacy has been in business since 1967. As an independent pharmacy, we offer our customers full and personalized service. Our pharmacists have combined experience of over 57 years. We offer a fully computerized prescription department that allows us to not only fill your prescriptions quickly and accurately, but also monitor drug allergies, drug interactions, and proper usage of maintenance drugs. A patient information sheet, describing common uses of the drug as well as possible side effects, accompanies all new prescriptions. Each patient is also offered the opportunity for patient counseling with the pharmacists. We accept all major credit cards and most prescription plans and provide free in-city delivery. We maintain insurance information in your family profile. 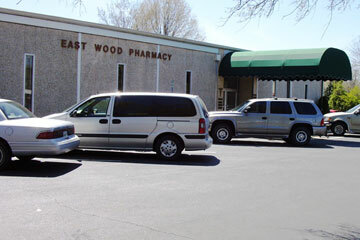 Eastwood Pharmacy strives to give its customers value in our products and pride in our service. Come see us.